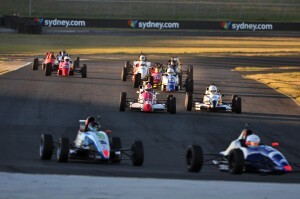 Gibbons and Pike Share Spoils in Sydney. Pike peeks on Saturday, before Championship favourite restores order on Day 2 – winning Races 2 and 3. 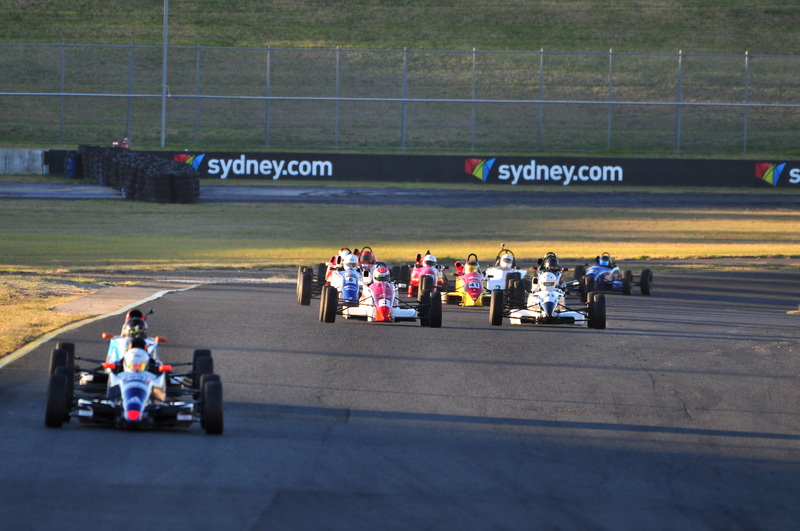 Round 2 of the 2016 NSW Formula Ford Championship sees the circus in Sydney for the first time in 2016, and racing on the full 4.5km Brabham circuit at Sydney Motorsport Park. 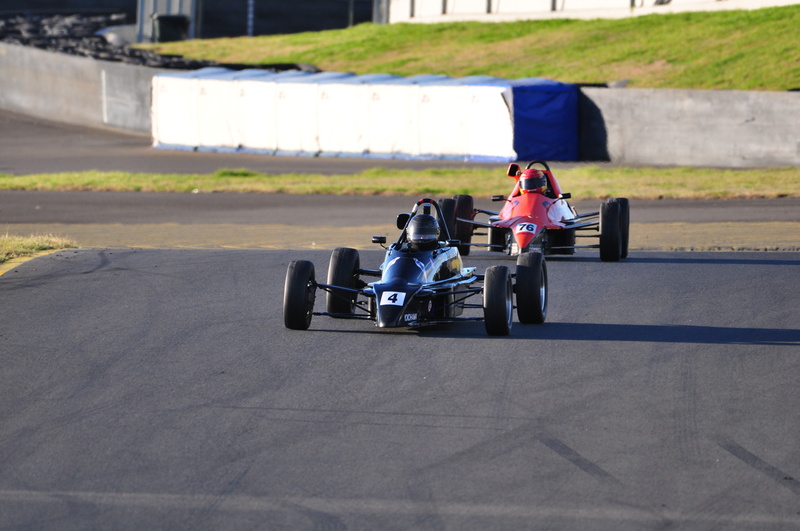 Lachlan Gibbons blitzed the competition in the opening round of the championship at Wakefield Park, and would start the round as favourite. National series competitor Ryan Pike entered the round – a smart move, that allows him to have some extra race time at the Western Sydney venue, ahead of Round 2 of the National series at the end of May, an event that will be held alongside Round 3 of the NSW series. 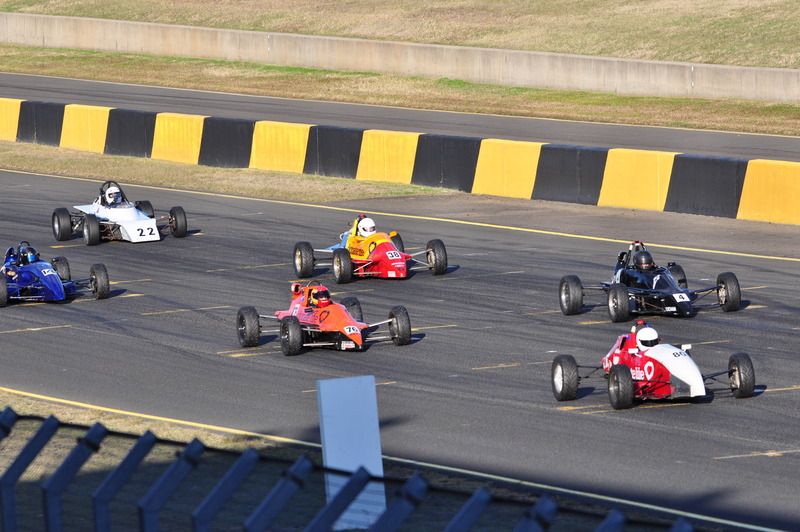 A field of eleven would contest the three races of Round 2, but the focus was the battle between Pike and Gibbons for the outright and Duratec honours right throughout the weekend. Pike drew first blood in Qualifying,by taking Pole Position, and doing so by nearly a second from Gibbons, and that alone, was an indication that Pike had worked out the extended section of the circuit quicker than his opponents. 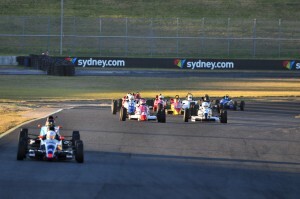 The crew at Synergy Motorsport were understandably delighted with the result, but knew that Gibbons would mount a challenge when the lights turned to green for Race 1. In the battle of the debutants, Jake Donaldson got the better of Jett Bennett. A nice way to respond to Bennett’s stronger showing at Wakefield Park in Round 1. It was a cracking start to the opening race, with Gibbons and Pike fighting vigorously for the lead on the opening lap, but on lap 2, an incident between the pair at turn 1 saw both cars off the road. Pike was able to resume, but it was day done for Gibbons, and a retirement that pockets no championship points, and could prove costly at the back end of the Championship. The retirement of Gibbons left Pike out in front on his own, and from there, he would cruise to a comfortable race victory. Donaldson’s small victory over Bennett in Qualifying proved to be just that, with Bennett bouncing back to take second place off Donaldson in Race 1. 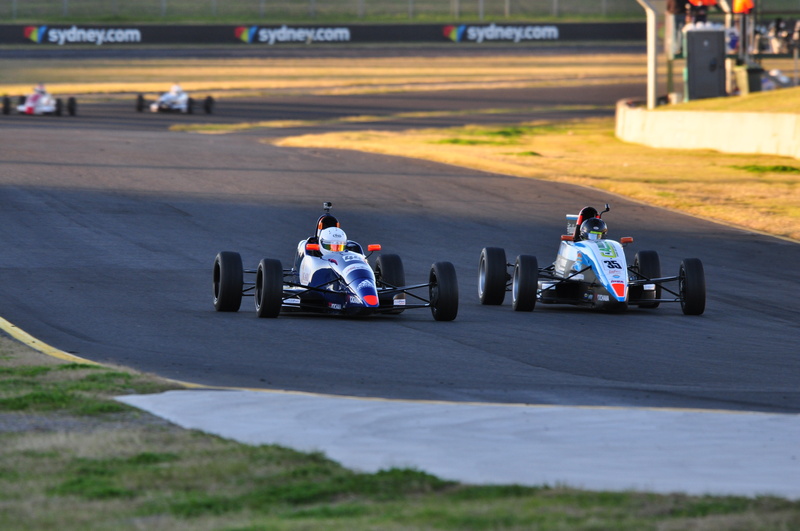 The battle would resume on Day 2, as Lachlan Gibbons made his way from fourth to first, and did so without any real challenge from Ryan Pike. Gibbons went on to win by five seconds, and in doing so, grabbed his fourth win of the season. Pike was a comfortable second, while Jake Donaldson managed to beat Jett Bennett to the line for the first time – claiming third by 1.6 seconds. Race 3 was very much the same – Gibbons led from pole position, and gradually pulled away from Ryan Pike, to go on and win by seven seconds. Jake Donaldson again got the better of Jett Bennett, and in doing so, secured second for the round, which was won by Pike after Gibbons’ Race 1 retirement. 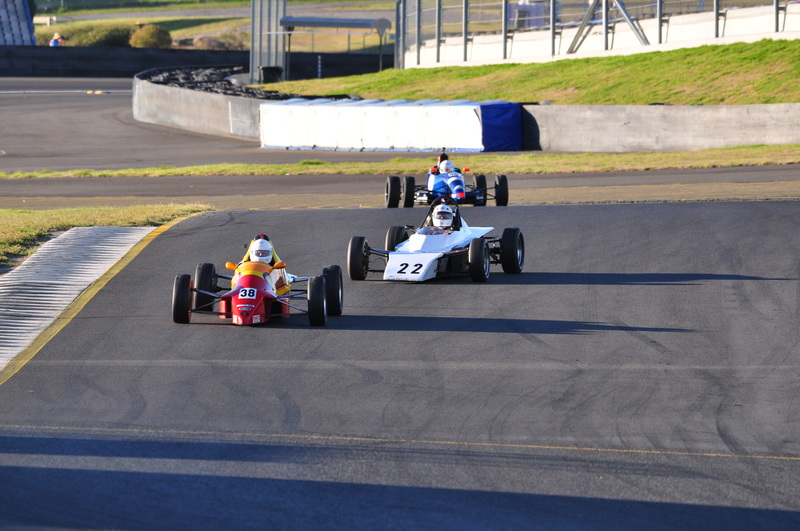 It was expected to be a battle between Hodges and Holihan in the Kent Class, as it was at Wakefield Park, but Mark Lowing had other ideas. Lowing threw the cat among the pigeons by topping Qualifying from Hodges and his team-mates Aaron Grech and Daniel Holihan. 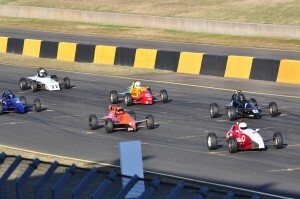 It was widely agreed throughout the paddock that those who could master the tight section of race track between turns 7 and 13 would be well positioned for not only qualifying, but racing as well, with that section of circuit considered to be where the races would be won and lost. The three Anglo-Australian Motorsport entries couldn’t do anything about Mark Lowing in Race 1. 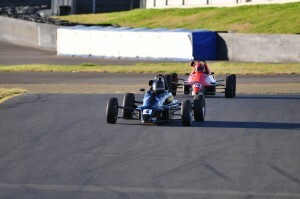 Lowing went from pole position to race victory, and did so comfortably in the end – beating home Aaron Grech by 3.7 seconds. Daniel Holihan was third while the Championship leader, Simon Hodges, was fourth, in what ended up being a tough day at the office. 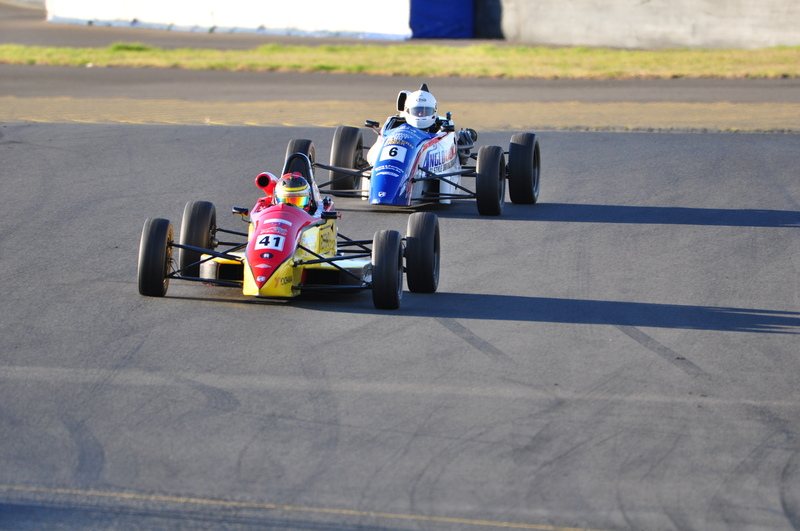 He finished fifteen seconds behind Lowing and nine behind Holihan, who was two seconds slower than him in Qualifying. 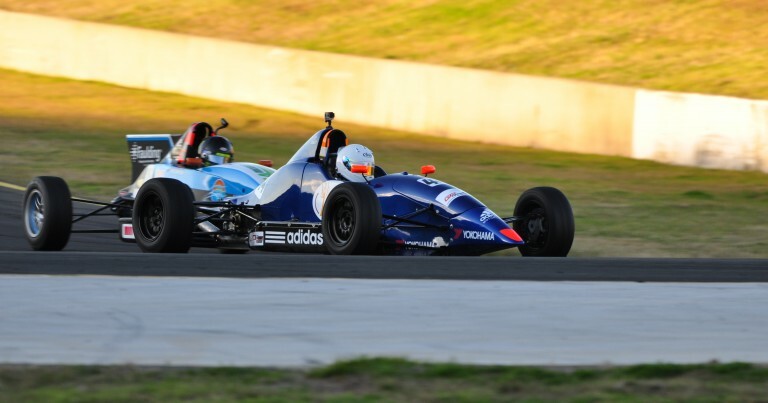 Race 2 saw Hodges bounce back into fine form and win by six seconds from Lowing and Holihan, who was right on Lowing’s rear wheels as they crossed the line – just three tenths of a second separated the pair at the end of eight laps, while Aaron Grech was 4th. Mark Lowing and Simon Hodges were the big movers in Race 3 – jumping from third and fourth respectively, to lead the field home in first and second, ahead of Holihan and Jason Liddell, who scored his best finish of the weekend. It wasn’t a great race for Simon Hodges – he could only manage sixth, after running into some trouble on the third lap of the race. 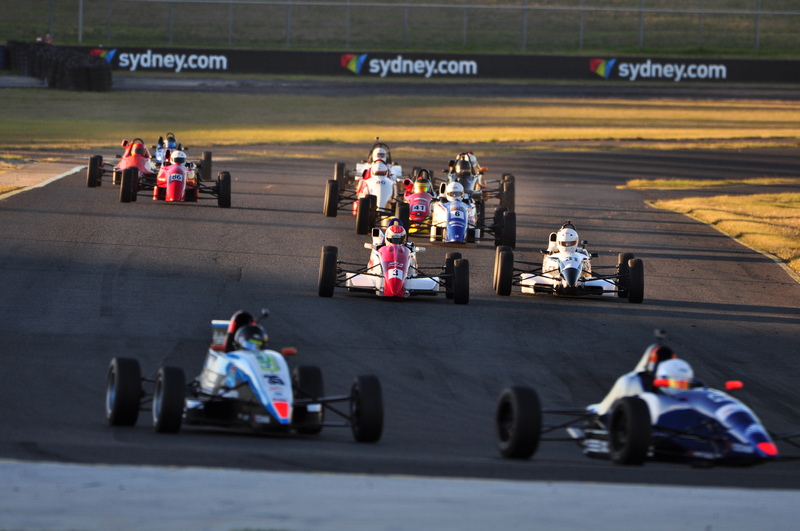 An interesting round with mixed results, and a couple of hiccups for the championship favourites, but now the Formula Ford fraternity has a 7-week break to regroup, before returning to Sydney Motorsport Park for Round 3, which doubles as Round 2 of the Australian Formula Ford Series for 2016 – the first of two events in which the NSW series will share the grid with the National competitors in 2016, so we’ll see you there.